If you love adding some zip to your meals, you'll love turning up the heat with these spicy, refreshing cocktails. There are many different ways to add a bit of a kick to your cocktails, including fresh or dried chilis, hot sauces, fresh ginger, or black pepper. This drink is not for the faint of heart! You can also add sweet fruit juices such as mango or strawberry to help tame the heat. Makes one drink. Place the mint leaves in the palm of your hand and rub your hands together to release the essential oils. Add the mint to a mixing glass along with lime, jalapeños, and sugar and muddle. Add ice, then pour the rum over the ice. Top with seltzer water and garnish. This beer-based cocktail is a savory option, with just the right about of heat from a few dashes of hot sauce. Serves one. Rub a slice of lime around the rim of the collins glass, then press it into the chili salt. 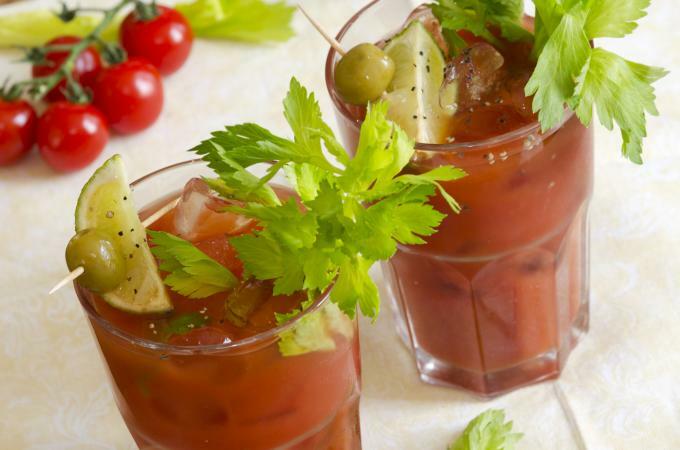 Fill the glass about ¼ to ⅓ with tomato juice. Add the hot sauce, the lime juice, and the Worcestershire sauce. Top up the glass with cold beer. 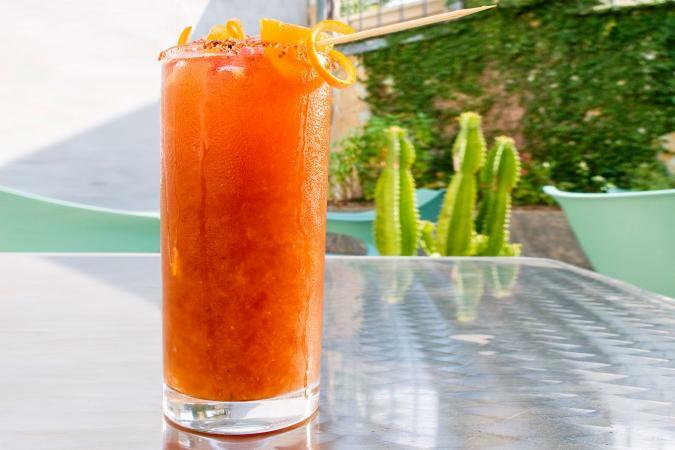 Anyone who's a fan of the Bloody Mary should try this tequila-based variation with a kick of horseradish and hot sauce. It's a must for weekend brunches. Makes one cocktail. Add all the ingredients, minus the garnishes, to a cocktail shaker filled with ice. 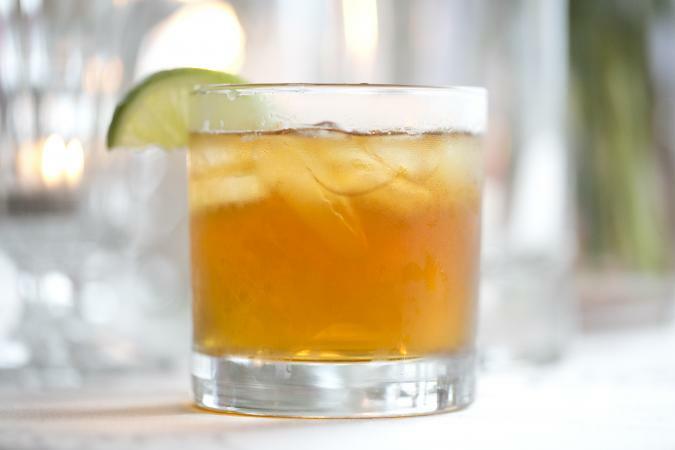 Strain over fresh ice into a cocktail glass and garnish with celery stalk and citrus wedge. Add another dash of black pepper if desired. 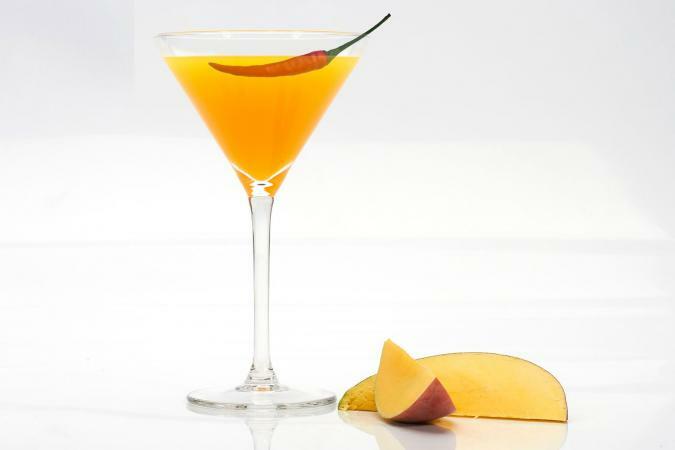 With a tropical sweetness to balance out the spice from fresh chiles, it's hard to have just one chili mango martini. Serves one. Split and de-seed one chili, then muddle with syrup and vodka in a cocktail shaker. Add in mango puree and ice. Garnish with the remaining chili. This honey and ginger delight is the brain-child of Aussie bartender Sam Ross who created this modern classic during his tenure in NYC. Makes one cocktail. Muddle the fresh ginger in a cocktail shaker. Add blended Scotch, lemon juice, honey, and ice to the shaker. Shake well. Strain over fresh ice into a rocks glass and add the Islay Scotch as a float. If you still can't get enough spicy cocktails, remember that certain spirits have an affinity for chiles: tequila, mezcal, and rum to name a few, but there's no reason not to play around with introducing spice to your favorite spirit. Vodka is perfect for infusing chiles or ginger, which makes for delicious, easy cocktail crafting. 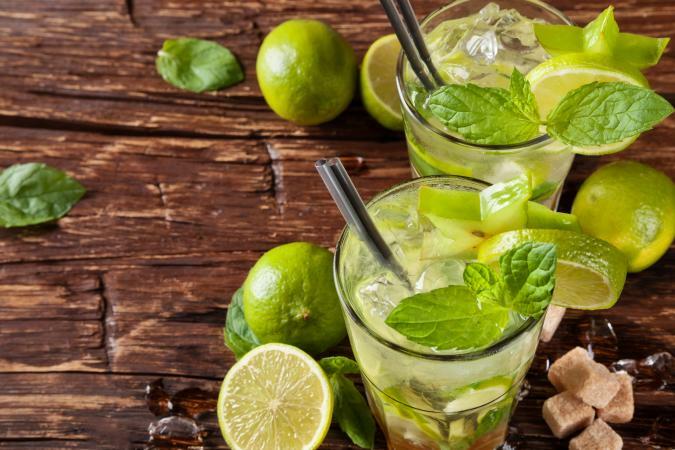 You're sure to find new recipes to add to your personal list of fabulous cocktails.